The barrage from the Gaza Strip began in the early morning hours of Saturday, sending thousands of Israelis to bomb shelters. Approximately 20 projectiles were intercepted by the Iron Dome defense system and most others fell in open territory. The IDF deems the Hamas terrorist group, which rules the Strip, responsible for all attacks from its territory, though Islamic Jihad is also believed to be involved. 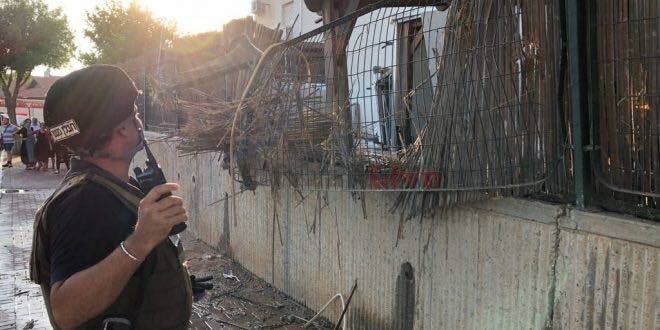 Three civilians were wounded when rockets struck sites in the southern city of Sderot, including a synagogue. At least one ceasefire was brokered during the fighting, reportedly by Egypt, but was quickly violated by the Palestinians. The Israeli Air Force has struck dozens of targets in the Strip in retaliation. According to Israel’s Channel Two, another ceasefire was brokered several hours ago, though two mortars have been fired into Israel since then. The IDF retaliated against the most recent attack. The fighting comes after months of incendiary attacks on southern Israel, which have seen Palestinians use balloons and kites to fly firebombs across the border, sparking fires that have caused millions of shekels in damage.